Clutter stresses me out. Big time. I wasn’t always this way (or at least not this bad), but I am now to the point where excess clutter and too much STUFF literally makes my pulse rise. One of the places where I most battle with clutter is in the kitchen, and this is largely due to my love of kitchen gadgets. Yes, I will be the first to admit it… My name is Paula, and I love kitchen gadgets. Perhaps not surprisingly, I also love to be in the kitchen. 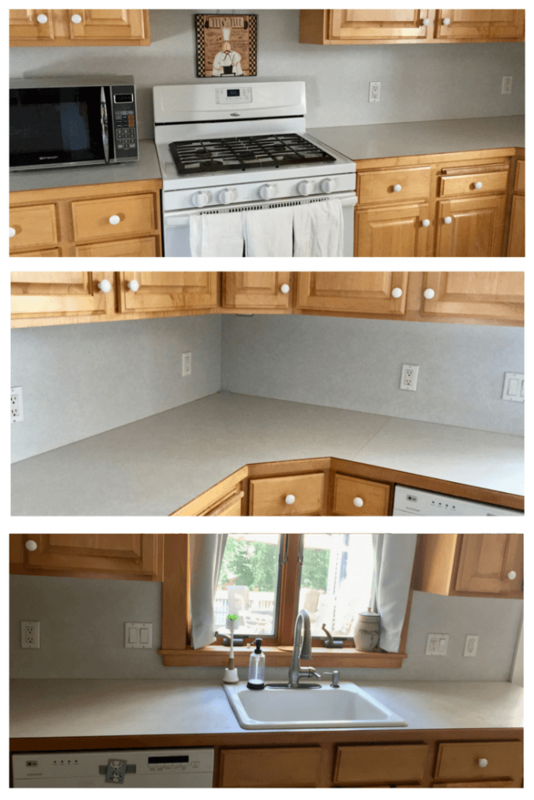 And this combination creates a bit of a conundrum: when my counters are covered, cabinets are overflowing, and drawers are packed with gadgets… my stress levels rise. Earlier this spring I reached a breaking point and finally set a goal for myself: cut my utensils and kitchen supplies in half, and take almost everything off my countertops. Let me tell you, this was no small challenge, so I’ve taken it in stride. One day I tackled the cabinets, another day I did the drawers, I then cleared out the pantry, and finally worked on the countertops. Ridiculous. Not anymore! Now everything has its place, and my countertop simply holds a microwave. Boom! 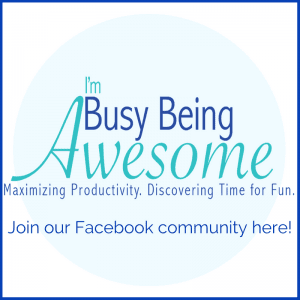 Do you want to join the Declutter Club but don’t know where to start? I’m here for you. Let’s start in the kitchen. Here is a list of 10 things on which to cut back. Less Mess=Less Stress. Look! A 5-blade kitchen shears that chop herbs in seconds… But can’t you also use a knife? Do you honestly need 8 spatulas, 6 differently shaped ladles, and 4 whisks? Let me help you out. The answer is NO. Cut back. Look at each kitchen gadget and ask yourself – do I really need this? Does it really save me that much time in the kitchen? If the answer is no, put it in the donate pile. I don’t think I need to elaborate on this one. If it doesn’t have a matching set, get rid of it. I was awful about cookie sheets, pizza pans, and baking dishes. I make A LOT of cookies, especially during the holiday season, so I was always able to justify buying one more sheet. But let’s face it…I only have one oven! Do I really need 7 cookie sheets? NO! Donate pile. Somehow Ryan and I manage to acquire mugs likes we’re planning to have all of Boston over for tea. Again, not necessary. 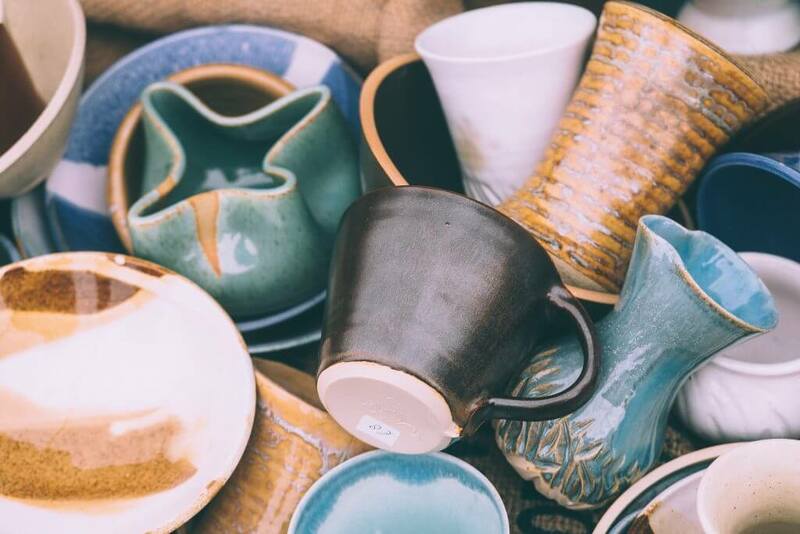 The same goes for the many water bottles piled up in the back of your cabinet, or the leaky travel mugs that you keep around for “just-in-case.” I promise – you don’t need four leaky travel mugs. One non-leaking mug will do just fine. Ryan and I tend to put the mail on the corner of our island in the kitchen, and it piles up. Now when the mail comes in, we recycle the junk and file away the important stuff. No more island clutter – hooray! Get rid of questionable batteries, those random twist ties, and pens without ink. Add a little sanity to that junk drawer. You will thank yourself when you need to find that Sharpie later. This sort of encompasses my comments for both cookware and mugs, but it really goes for all things in your kitchen. If you have more than one of the same thing, ask yourself – do I really need three crockpots of the same size? REALLY? If the answer is yes, then keep them. If the answer is no, put the extras in the donation pile. Do you need a hand mixer and a stand mixer? How often do you use that ice cream maker? Have you ever used that yogurt maker? (ahem…I never did – I donated it brand new…) If you’re not going to use these appliances regularly, they’re just taking up space. Get rid of them. Ryan and I often leave invitations, receipts, and coupons up on the fridge WAAAAAY past their expiration. There is no need for this. Take them down and remind yourself what color your fridge is again. 10 easy steps; this is completely doable, right? If you’re overwhelmed, take it in stride and do one item at a time. If you’re feeling particularly ambitious, make a day of it! You will feel incredible when it’s done. If you’re looking for an organization that accepts donations, I often use the Vietnam Veterans of America. They make it very easy – you just click on their website and schedule a pick-up. You leave your donations outside, and they come right to your house. It’s a great cause, and they make it so easy! How is your kitchen situation? What do you do to de-clutter? Do you have a passion for unnecessary kitchen gadgets? Let me know below! I am in the perfect mood to read this today, given that I just blazed through my kids’ ridiculous playroom and closet. Feeling motivated to hit that junk drawer! Love the name of your blog! 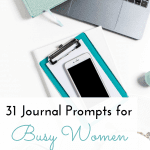 Great ideas on here too! Going to pin it! 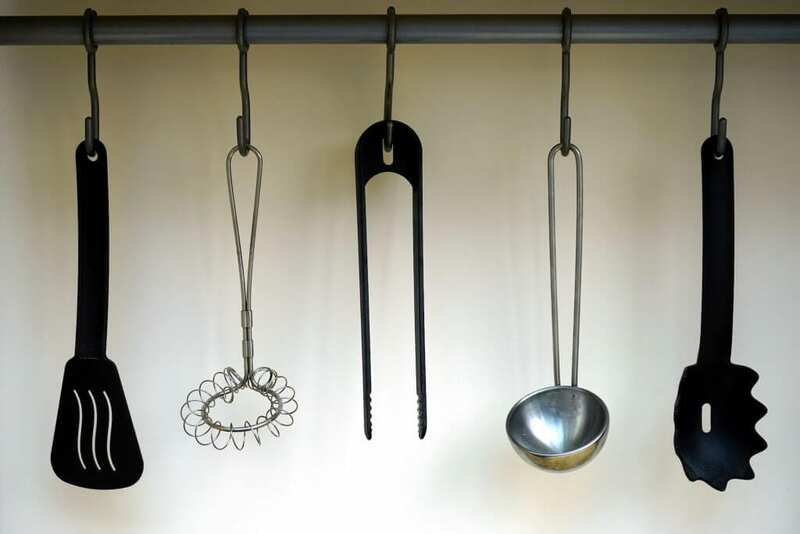 I love the way you hung your utensils. Such a great idea! This is so true! 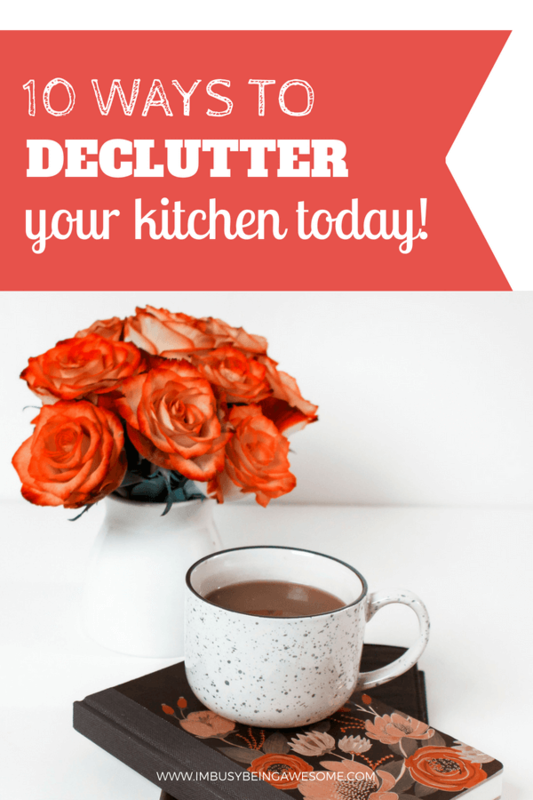 Junk just seems to pile up in all the nooks and crannies in my kitchen! Yes! It’s so easy to let it pile up. My fiancé and I moved in together last summer and are still in need of some serious kitchen de-cluttering! Thank you! I really need to follow these steps!! We have such a small kitchen in our apartment and it is such a mess!! I am so guilty of most of this especially the junk mail and the junk drawer! I feel like I need to go throw some stuff away right now!!! These are really great ideas! I have GOT to get in my kitchen and clean it/organize. It’s out of control! Set a date and tackle it – you’ll be so happy when it’s done! This post inspires me to clean up everywhere in my house. I especially needed the reminder to eliminate duplicates! When I moved into my apartment last year, I swore to myself that I was going to keep as much stuff off the counters as possible. 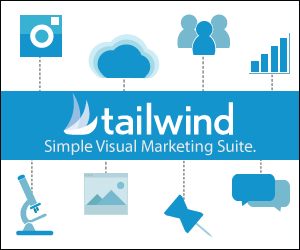 It makes sure a difference to me — the lack of visual clutter makes me feel so much better. Now the drawers and cupboards? That’s a different story these days… Thanks for the inspiration to clear some stuff out! That’s great! I completely agree. 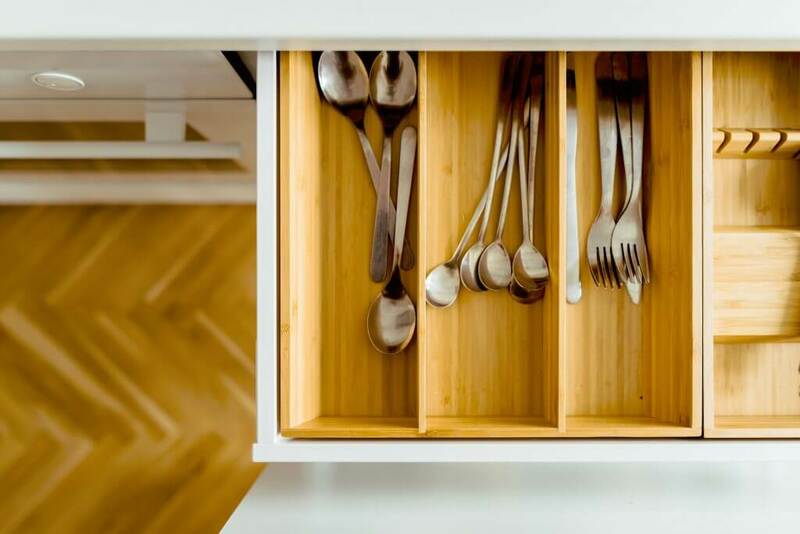 It relieves stress AND leaves space to cook when the counters are relatively clear 🙂 Good luck on the cupboards and drawers! Just this morning I was trying to juggle putting 2 big bowls on top of the toaster in the cupboard. I REALLY need to declutter. I know that when I end up with multiple bags of cumin, it’s time to do something. Thanks for the tips… I’m going to promise myself that I’ll tackle this next week. HA! YES – multiple bags of the same spice is a good sign;-) Good luck – it will feel GREAT when you’re done! I REALLY need to get rid of some of our cups. We have 3 people in the house, I wash dishes daily, and we have at least 20 cups. Ridiculous. LOL YES! i can completely relate. I love this, clutter majorly stressing me out. 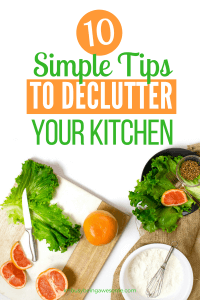 This are easy steps to help keep the kitchen in order and I agree that we simply do not need so much stuff! Love this! 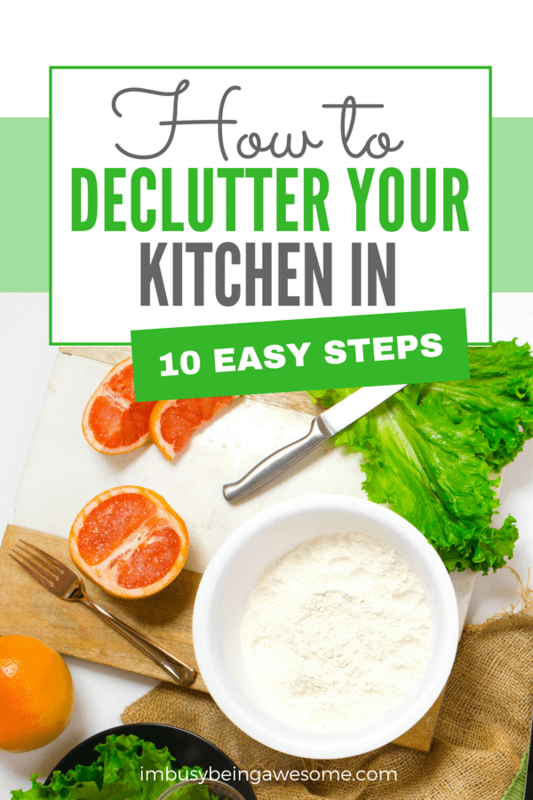 I hate clutter so I will be going through these steps to clean out just a little more in the kitchen! 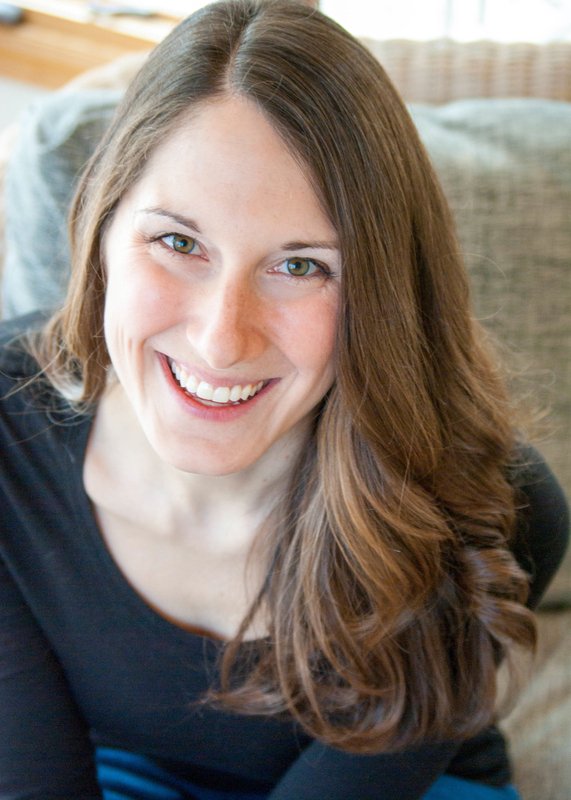 I am in my kitchen all the time and constantly working to minimize clutter. Fantastic tips! Ha, yes. 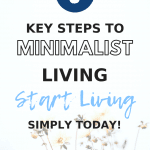 I am also a “wanna-be minimalist.” We can always strive for it, right? Oh boy, duplicates is definitely my problem here! And I always try to justify having two because if one breaks or disintegrates in the dish washer! Haha, but yeah, it’s a problem – and extra work keeping around. 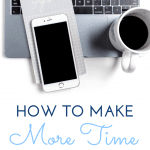 These are really good tips, especially since I just gave my kitchen a facelift and went through all the extra stuff I never knew I had! thank you so much for this!! my kitchen/dining room are definitely the most cluttered rooms in our house! I’ll be using these tips today! Fantastic! You will feel awesome when it’s done. I am the queen of the everything drawers!!! Very helpful!